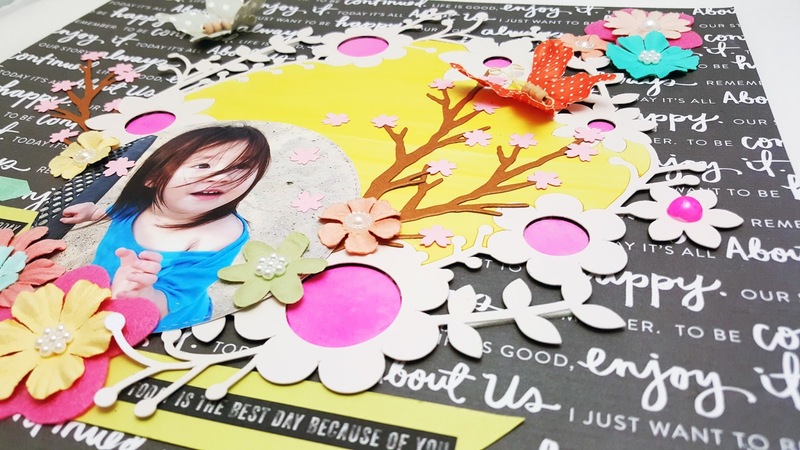 Hello all CutCardStock fans! 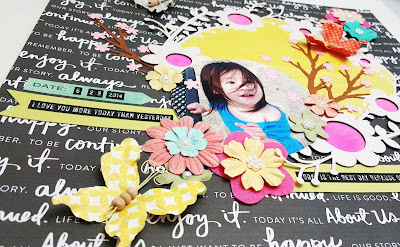 I'm back today with another project - a scrapbook page. I don't usually do scrapbook but once in awhile I encourage myself to create some for the sake of keeping track my children's growing-up process. I chose to make this Spring themed layout and used gorgeous Curious Metallic card stocks to decorate my page. 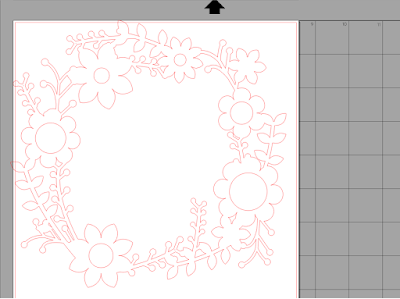 Step 1: Cut the floral background using Cameo, this design can be found on Silhouette online store. 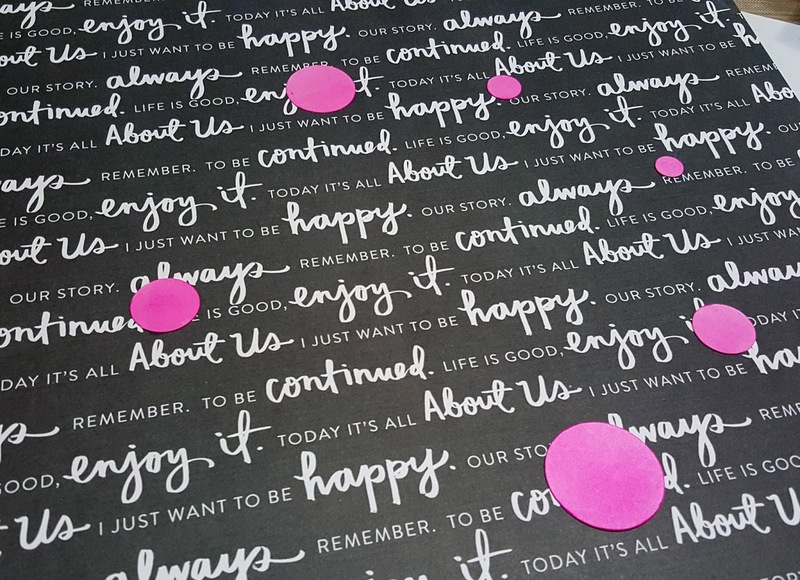 Curious Metallic card stock is used. 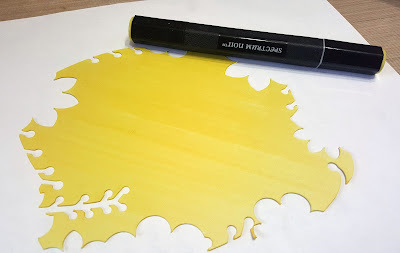 Step 2: Color the negative from the die-cut with Spectrum Noir Alcohol Markers then fit the puzzle back together in the main die-cut floral frame. Use regular tapes to connect all edges together. 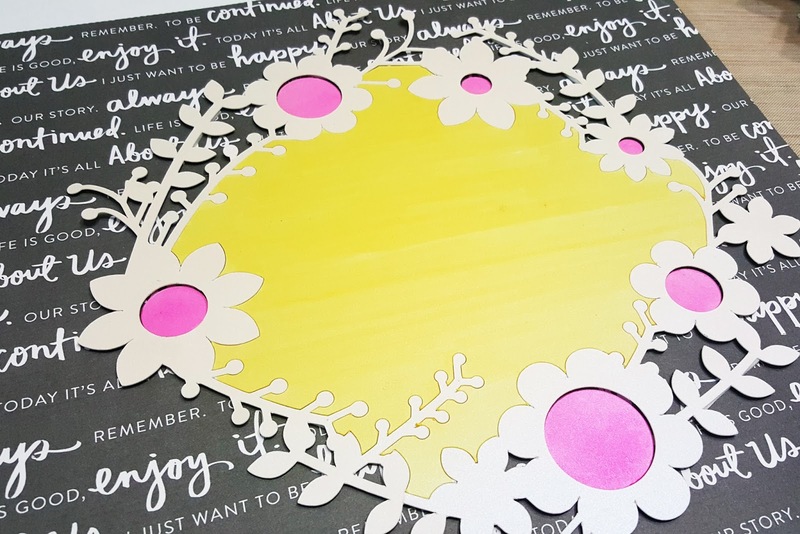 Do the same to the circle cut-outs from the floral frame (coloring with alcohol marker) and adhere them on a 12 x 12 patterned card stock of your choosing, Make sure to line up with the original die-cut so you know where exactly to stick the circles. 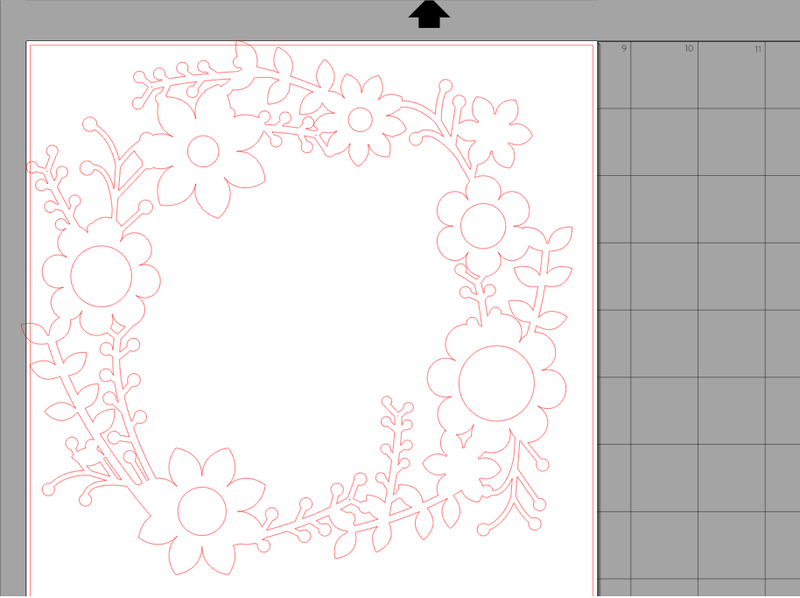 This is to create a pop-up effect by adhering the floral frame die-cut using double-sided foam tapes later. 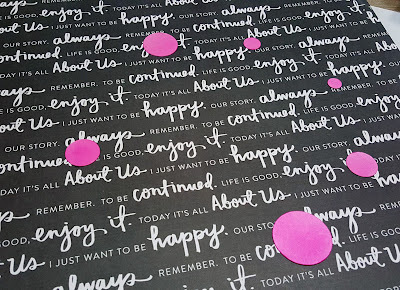 Step 3: Apply double-sided foam tapes on the die-cut from Step 2 and layer/stick over the pink circles. Here is how it looks like, you can see the three dimensional effect. Step 4: Die-cut the picture using circle die and start embellishing! The cherry trees were die-cut on Curious Metallic - Chocolate card stock. 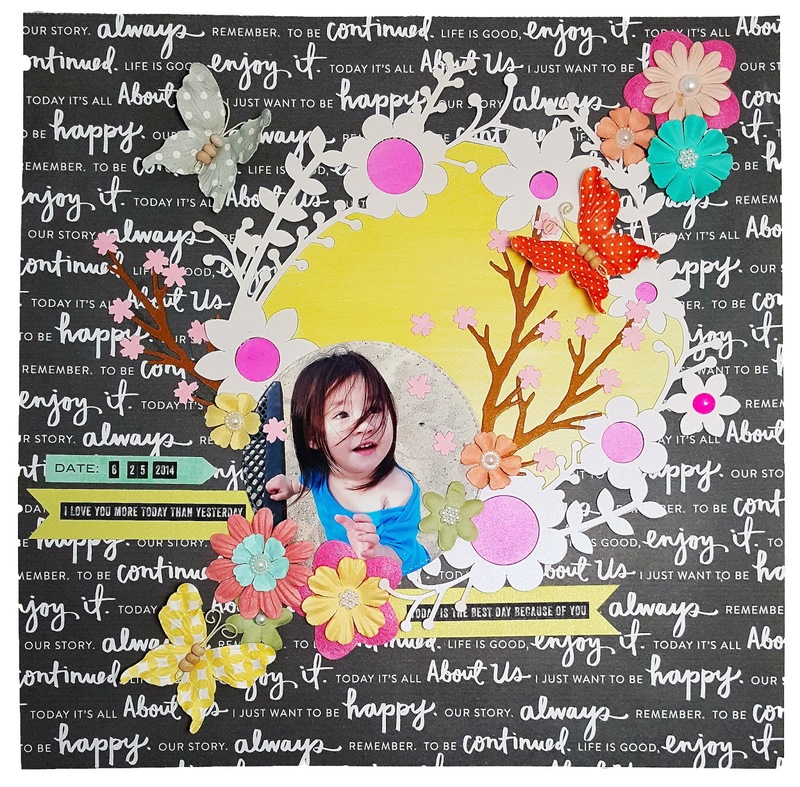 I hope you like this scrapbook project. 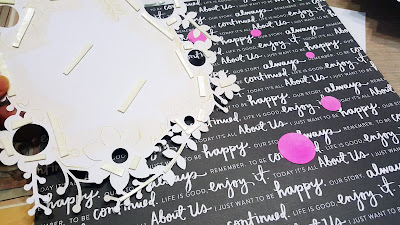 It's fun to scrapbook now I can't wait to make another one soon! You have a wonderful day!